Mid-Year Recap: Where Are We Now? Home » Blog » Mid-Year Recap: Where Are We Now? It’s been a busy year for us here at Blys. We know, we know. A lot of people say that – but as a new company, every day is a day spent working! We’ve got so many exciting projects happening all of the time that we’ve had to become master jugglers. Working for a brand you really believe in is one of the most rewarding endeavours you could ever take on. And of course, Blys wouldn’t be as wonderful as it is without the awesome therapists and perpetually relaxed clients. We’re more than halfway through the year, so we thought we’d shoot through a little update in case you’re new around here. So without any further ado, here is a little peek at what Blys has been up to in 2018. Our Blys family continues to grow! Our service quality and client satisfaction are the most important things to us and that’s why we’re committed to bringing you only the best of the best. Over the course of this year, we’ve maintained an average rating of 4.9/5 stars across the entire therapist base. As always we are dedicated to adopting only the very best massage therapists to ensure that you have the most incredible experience every time. That’s right, we’ve finally hit the shores of Lower Down Under. Tassie folks can now get blyssed, too. With Hobart in the loop, Blys is now servicing a grand total of 13 cities across Australia. It’s such a thrill to see how far we’ve come in such a short space of time, and it’s all thanks to the amazing Blys therapists and a fantastic team. This means Blys now has Sydney, Newcastle, the Central Coast, Wollongong, Melbourne, Geelong, Brisbane, the Sunshine Coast and Gold Coast, Canberra, Adelaide, Perth and Hobart covered in Australia. Corporate services are also currently available in Auckland for our Kiwi friends. For a more detailed look at where we cover in Sydney, we’ve given our landing pages a facelift! Now you’ll be able to visualise exactly where we can be for you in the CBD and Inner Suburbs, Eastern Suburbs, Inner West and Western Sydney, the North Shore and Northern Beaches, the Hills District and the Sutherland Shire. Remember that Blys can come to your home, office or hotel when you’re in these locations. In line with upholding our (very high) standards, therapists will often collaborate on ideas and skills. The network is an amazing community that’s full of encouragement, pro tips and tricks of the trade. Here are some snapshots of what those massage magicians have been up to. 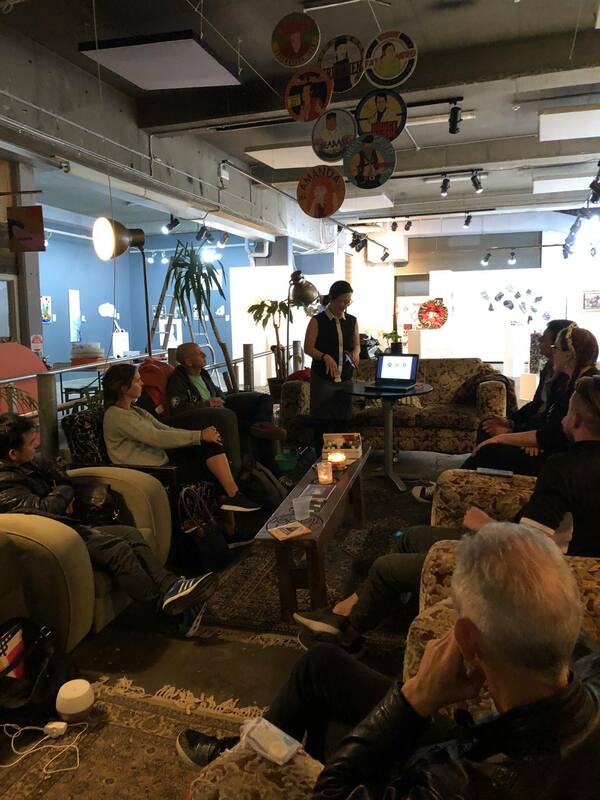 Therapists hold monthly meet-ups to catch up on their work and share their ideas, skills and tips. These usually happen at cafes and other cool venues that keep the vibe fun and friendly. 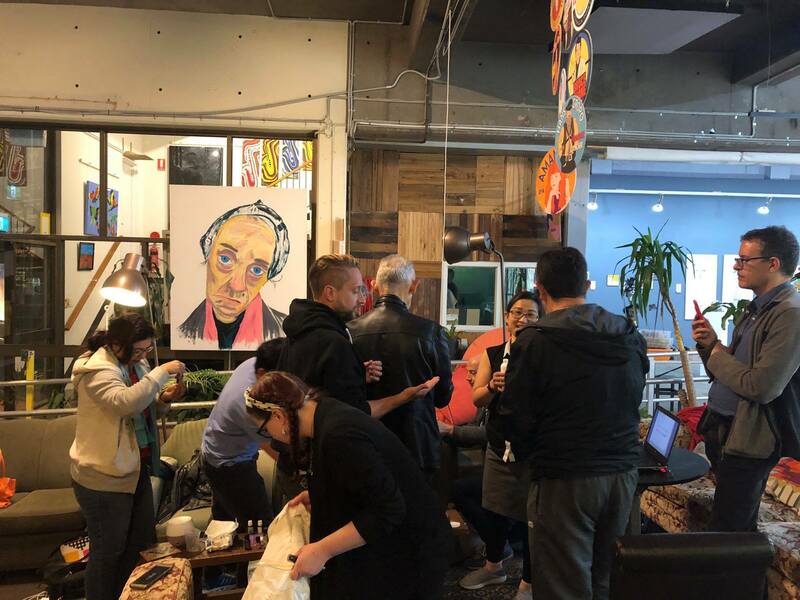 Learning is a lifelong phenomenon, and so Blys therapists run workshops, information talks and educational programs that share and expand skills. Last month we had an Aromatherapy Training meet up! We love strengthening our network and meeting dynamic and passionate people from all walks of life. Blys is full of incredible opportunities. 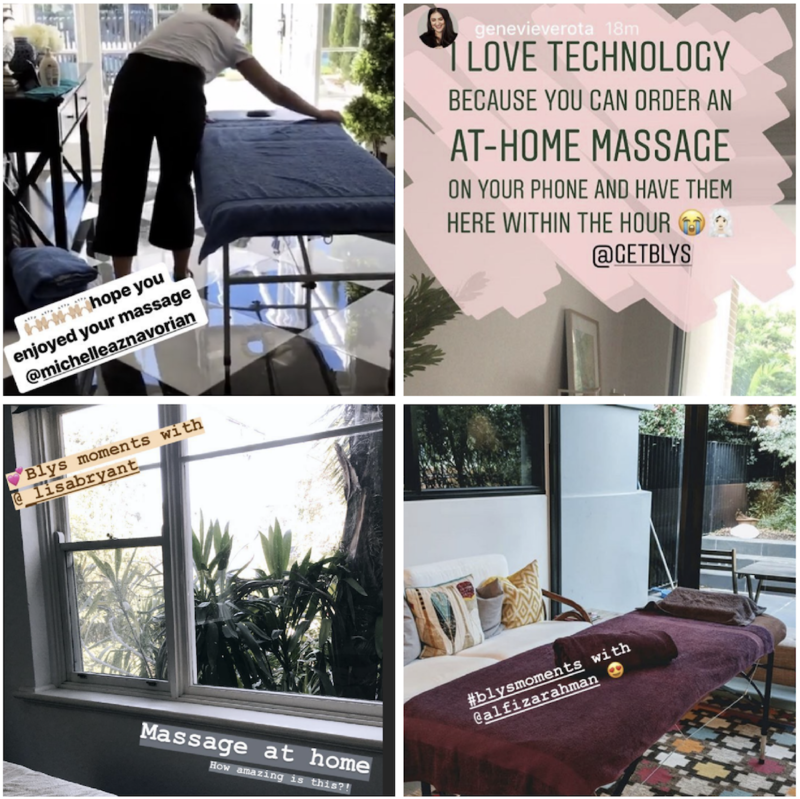 A few lucky therapists provided massages to the VIPs of Katy Perry’s concerts in Perth, Adelaide, Brisbane, Melbourne and Sydney. How cool is that? Stacks of people have been sharing their #Blyssed moments on our Instagram. We love seeing how we’ve helped you out, whether it’s providing some much-needed relief with a pregnancy massage, surprising your partner with an in-home massage, or just helping you wind down in the comfort and blys of your own home. Use the hashtag #blyssed and tag us at @getblys to get featured too! We’re constantly working to give clients the easiest booking experience possible. That’s why we’re working on updates and changes to the Blys app. An exciting new feature we’re working at the moment is the Therapist Profile section. This gives you variety and flexibility when navigating the therapist smorgasbord. We strive to be transparent while giving therapists a chance to showcase their personal attributes, skills and experience. Rebooking your favourite therapist is going to be easier than ever! We’ve heard you, and we recognise that the relationship you and your massage therapist is important. 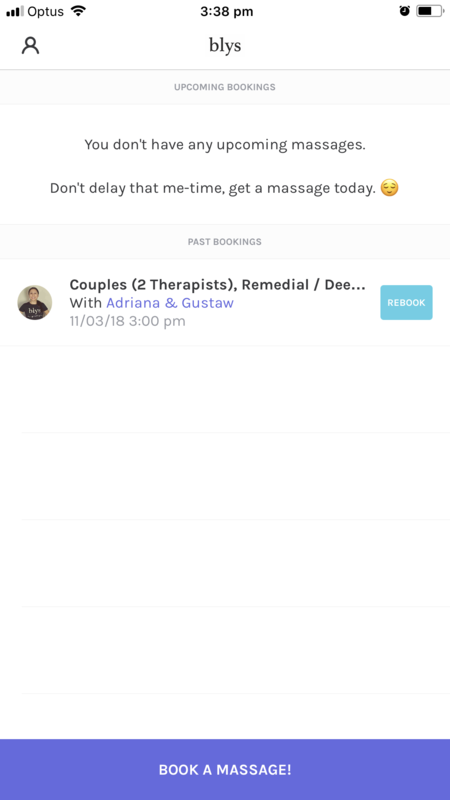 We’re working on streamlining our rebooking service so that you reconnect with your perfect therapist in a couple of clicks. Download the Blys app to book your next massage in seconds, and ensure you subscribe to our website to stay up to date! We’ve got some very exciting developments coming soon. Behind every great brand is an even better team. At Blys, we foster a friendly, nurturing culture and we love our Pyrmont office! We’re not little robots that sit behind screens all day – we’re people too! Here are a couple of fun facts and features that we get up to when our laptops are shut! Yoga! We’re all about wellness and feeling good here at Blys and so we love our office yoga sessions. Clear some space, lay down some mats and voilà, we’re ready to stretch out all the strain. Admittedly, as we learned yesterday, Dolphin pose is far from our favourite, but we feel about five times more flexible than before, so it was definitely worth it! Fundraisers! Throw out the frocks and slip into a onesie! 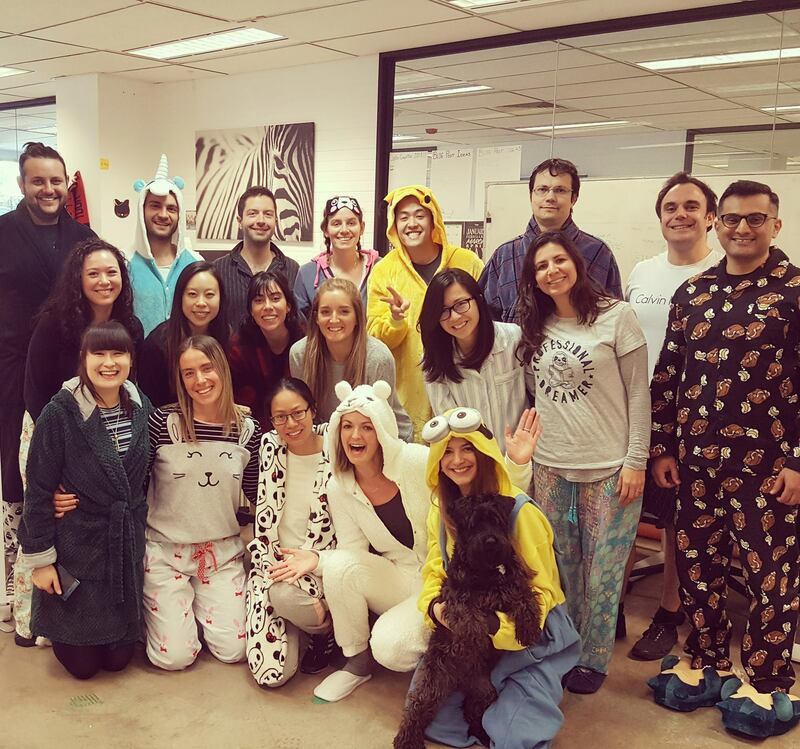 The Pyjama Day Fundraiser for the Pyjama Foundation was a great success for the whole office. Everyone looked so cozy and comfy and it made for a fantastic environment. Puppies! Bring your dog to work day. We hardly think an explanation of the sheer joy of being surrounded by dogs when you’re (supposed to be) working hard is necessary. Working beside pet-minding business Mad Paws definitely has its benefits! Fun fact! 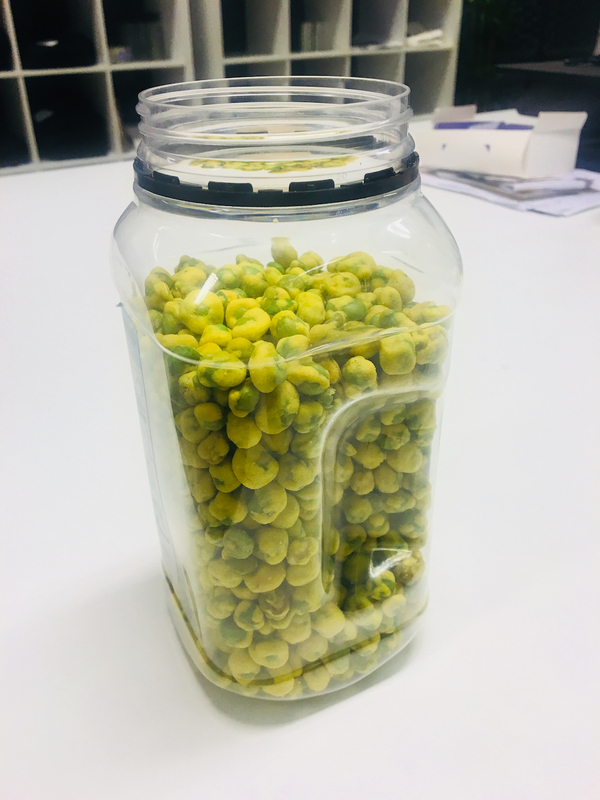 Our favourite office snacks are wasabi peas, cashews, and copious amounts of tea. And that’s it. Well, kind of. We’re only halfway through and that’s just a glimpse into some of the things we’ve done this year. Remember that booking your next massage with Blys is easier than ever. Check out our blog to keep up to date with our relaxation ideas, massage tips, and wellness events. Exciting things are heading your way very soon!